Targeted Protein Degradation (TPD) refers to the use of heterobifunctional small molecule "degraders" (e.g. 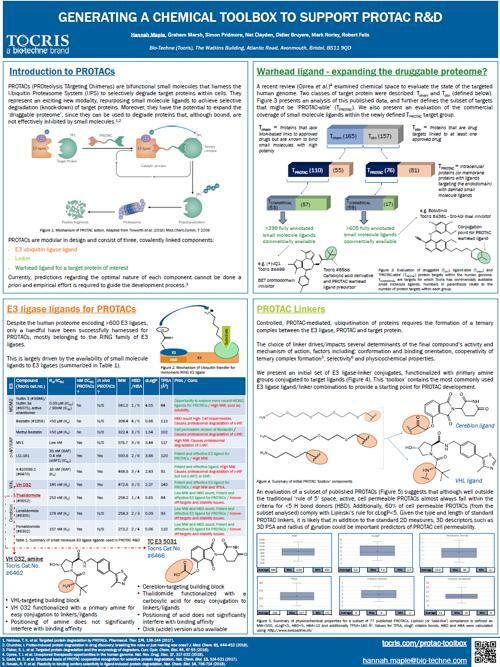 PROTACs) to achieve knockdown of target proteins within cells. These small molecules consist of binding moieties for an E3 ubiquitin ligase and a target protein joined by a linker. The binding of both moieties results in the formation of a ternary complex between target protein and E3 ligase, leading to polyubiquitination of the target protein, its recognition by the proteasome and subsequent degradation. 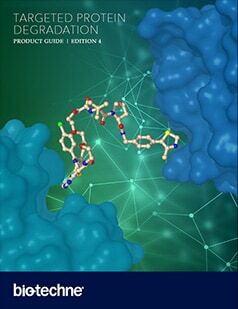 Tocris has a range of Active Degraders targeting different proteins, as well as a toolbox of Degrader Building Blocks to support TPD research and development. 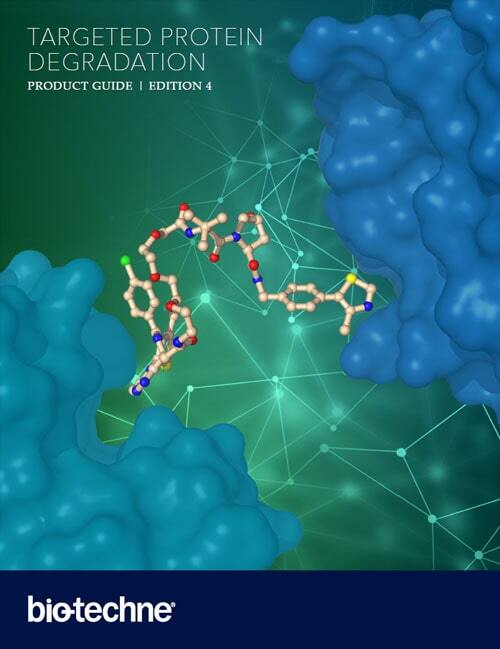 Tocris offers a custom service for the design and synthesis of degrader (PROTAC) building blocks for your targeted protein degradation research. Additionally, we can partner with your discovery project for the custom design and synthesis of active degraders. Figure 1: Schematic showing the catalytic mode of action of heterobifunctional degrader molecules. 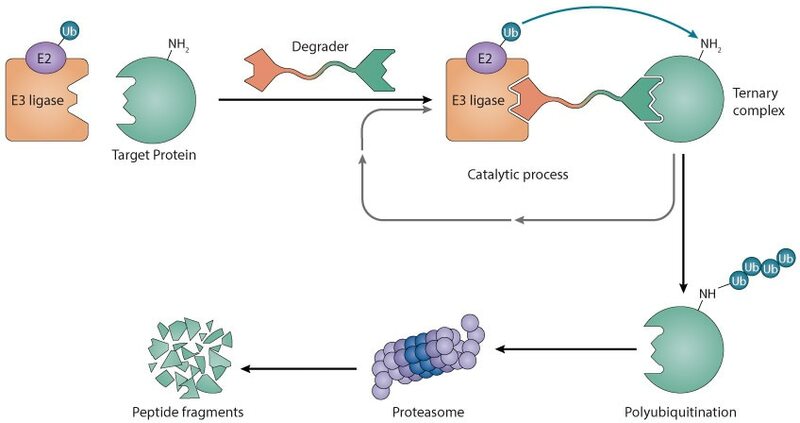 Degraders initiate the formation of a ternary complex between an E3 ubiquitin ligase and a target protein which results in polyubiquitination of the target protein, its recognition by the proteasome and subsequent degradation. Degraders act catalytically by repeatedly engaging and directing the ubiquitination of target molecules. Adapted from Tinworth et al. (2016) Med.Chem.Comm. 7 2206. Our sister Bio-Techne brands offer a range of E3 ligase enzymes, custom E3 ligase enzyme production, as well as assays and kits for ubiquitin research and proteomic analysis of ubiquitination. Are you developing Degraders in your lab? For quantitative, reproducible and automated analysis of protein degradation, check out the Simple Western™ range from our sister brand, Protein Simple. 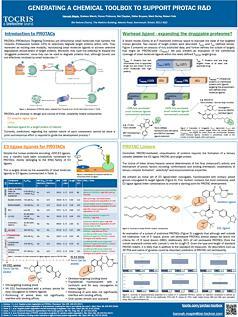 Tocris offers the following scientific literature for Targeted Protein Degradation to showcase our products. We invite you to request* or download your copy today!